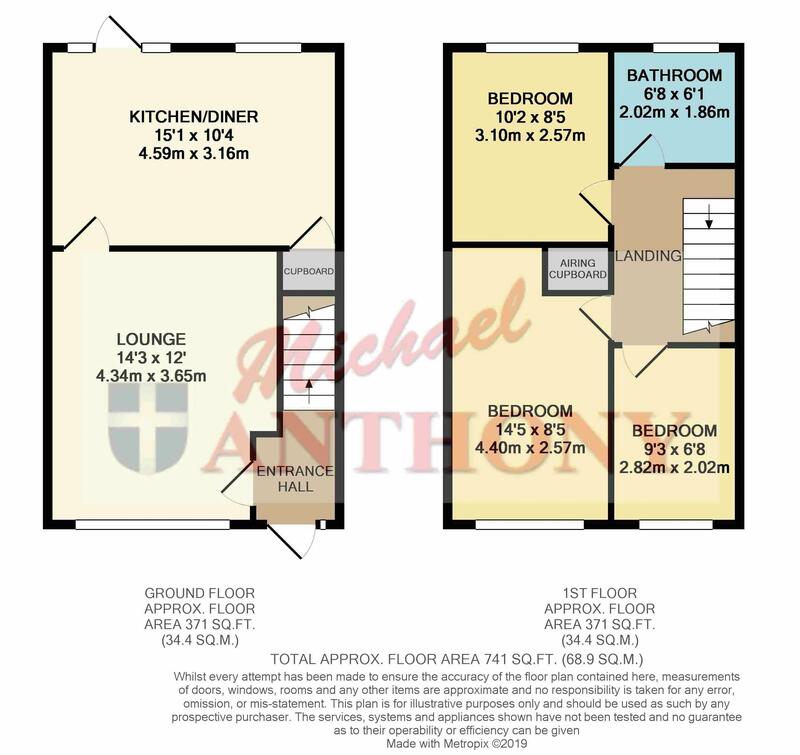 Michael Anthony are delighted to offer for sale this three bedroom semi detached family home; briefly comprising entrance hall, lounge, refitted kitchen/diner, refitted bathroom, double glazing and gas central heating. There are also front and rear gardens as well as a single garage and driveway. Via UPVC double glazed door with frosted double glazed inset, full length side panel, radiator, stairs rising to the first floor, door to lounge. Double glazed window to the rear, a range of storage cupboards at base and eye level, rolled edge work surface areas, stainless steel one and a half bowl with drainer and mixer tap over, electric hob and oven with extractor hood over, splash back tiling, plumbing for a washing machine, radiator, wall mounted boiler, understairs storage cupboard with shelving. Double glazed window to the front, radiator, fitted double wardrobe with mirror sliding doors. Double glazed window to the rear, radiator, built in single wardrobe, radiator. Frosted double glazed window to the rear, a three piece suite comprising a panelled bath with shower attachment over, low level w.c. with push button flush, pedestal wash hand basin, radiator, fully tiled walls. Footpath leading to the front door, bush borders, lawned area. Fully enclosed, paved patio with steps up to lawn with planted borders, shingled area to the rear, shed and playhouse to remain, outside tap, gated access to the side.